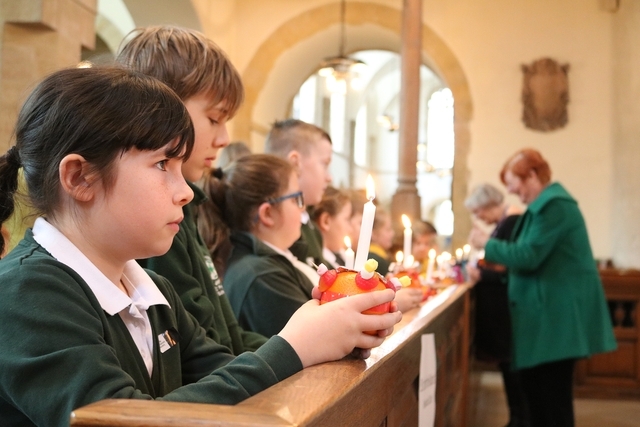 CHILDREN from four church schools across our diocese helped mark the 50th anniversary of Christingle services in our cathedral. They came together for a morning of workshops before taking part in a special Christingle service led by Bishop Christopher and acting dean Canon Peter Leonard. 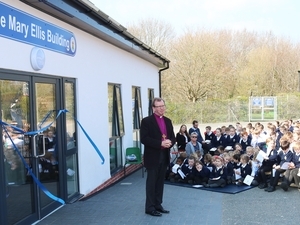 Pupils from Oakfield C of E Primary in Ryde, St George’s C of E Primary in Arreton, St Matthew’s C of E Primary in Blackmoor and St John's C of E Primary in Rowlands Castle were joined by the chief executive of the the Children’s Society, Matthew Reed. 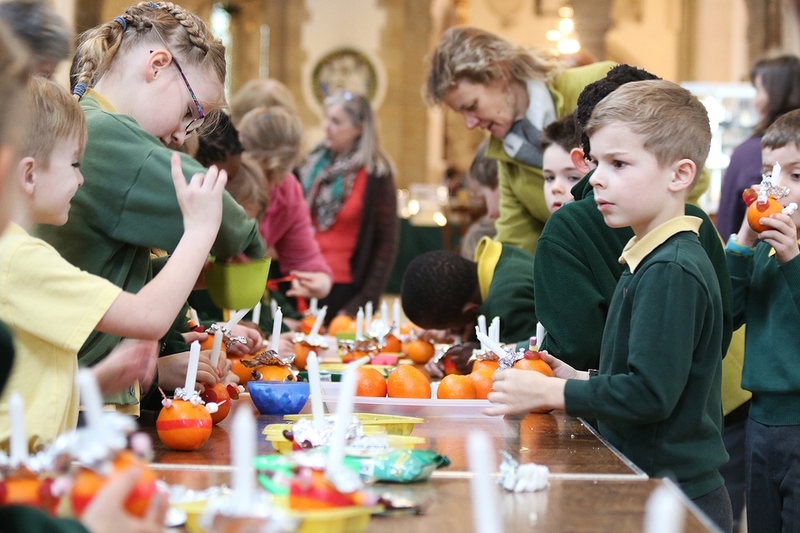 The workshops focussed on the elements that make up the classic Christingle – the orange that signifies the world, surrounded by the red ribbon that signifies God’s love, with a candle showing that Jesus is the light of the world, and sweets which symbolise the gifts of the Holy Spirit. 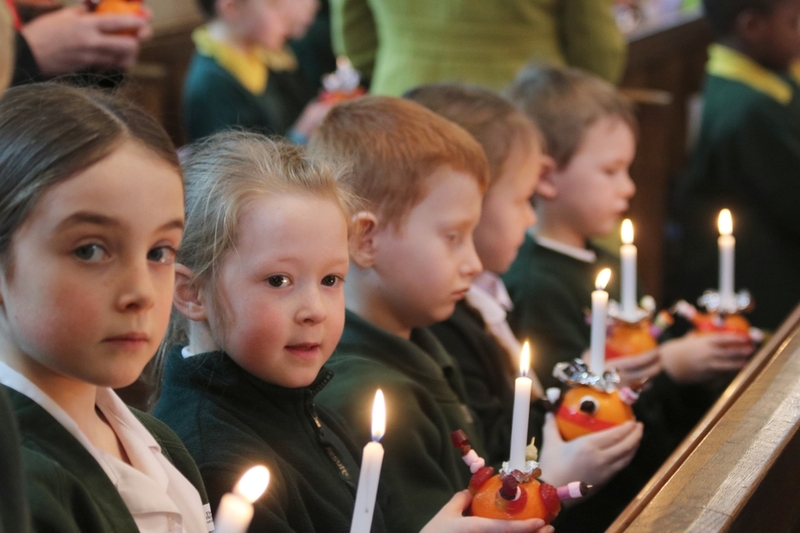 The Children’s Society first held a Christingle service in this country in December 1968, and churches have held them ever since to help raise funds for the charity. Since then, money raised from donations at Christingle services have helped more than one million children in the UK to get the care and support they need. The workshops included a chance for children to make a Christingle; to draw their handprints on a giant orange balloon; to colour in a candle and write down their prayers on it; and to write down things to thank God for on fruit-shaped paper, which would be stuck to a tree. Pupils presented their donations to the Children’s Society to its chief executive Matthew Reed during the service. Those from Oakfield and Arreton schools read the Bible readings, while those from Blackmoor led the prayers. Bishop Christopher also spoke about the difference that light can make in a dark world. Then the pupils’ Christingles were lit and they were able to reflect on what difference Jesus had made in their lives as the cathedral choir sang. The Children’s Society is a national charity that works to help the life-chances of vulnerable young people. 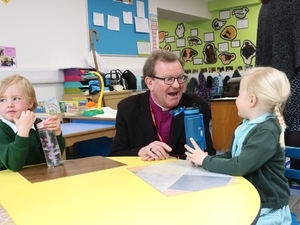 It began in 1881 by a Sunday School teacher and has always had a close affiliation with the Church of England. 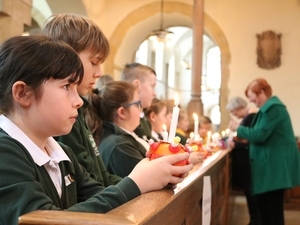 To mark 50 years since Christingle services started in this country, it has expanded the number of cathedrals that host such services from 20 to 32 this year. And parishes and church schools in our diocese will be able to liaise with the Children’s Society’s relationship manager for this area. Ruth Andoh-Baxter has started work in this region, and can help you to understand the charity’s work better. Contact her here for more information, or see childrenssociety.org.uk. For more photos from the Portsmouth Cathedral service, click here.